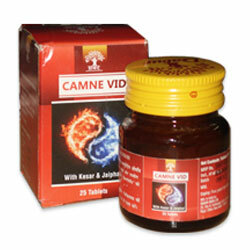 Buy Dabur Camne Vid Tablets. Premature Ejacualtion, Potency, Sperm Quantity & Sperm Quality, Male Fertility. 1 to 2 Tablets (375mg to 750mg) to be taken one hour before bed time, with milk or as directed by the physician.